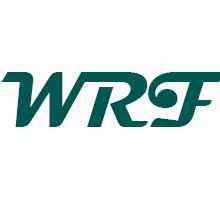 What is WRF File Format? The .wrf file extension associates with the WebEx recording software containing audio and video recordings created by this software. It is used to create computer tutorials and demonstrations for online training purposes and also used for Think Free Write document files. WRF video files are not compatible with most devices, players, video editing tools like Apple Watch, iPhone, iPod, iPad, Android, PlayStation, Xbox, iTunes, iMovie, QuickTime, Windows Media Player, iMovie, Windows Movie Maker, Final Cut Express, Final Cut Pro, etc. If you need to play WRF files, a strongly recommended solution is turn to a professional WRF Converter to play WRF videos or convert WRF to MP4, WMV,AVI,FLV,MP3 and more. How to convert WRF to WMV? WebEx Recording Editor has good support for exporting WRF to WMV. Two easy steps to import WRF files to WMV. Step 1: Download WebEx Recording Editor to your computer. Step 2: Run it and export WRF files to WMV. When all is finished, you can freely play and convert WRF files in WMV format to MP4, AVI,FLV,MP3 and more. Except for exporting WRF to WMV, you may also need to convert these files to other formats. If so, the following converter is a good choice for you. But first of all, you need to follow the guide above to export WRF to WMV. And then you can use the converter below to convert files to any format you want. WebEx Recording Editor can only help export WRF to WMV. However, WMV is not an universal format. So in order to play WRF files freely, exporting WRF to WMV is not enough. A much more professional video audio converter is needed. 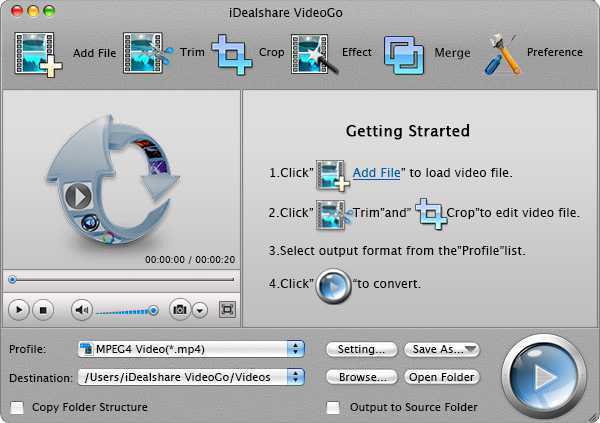 Video Converter here is an easy to use and all in one video/audio converter, video and audio player, video or audio editor. It is quite pleasant that this Video Converter is compatible with all the Mac OS X and Windows OS. Powerful Video and Audio Player: The WRF File Converter here can play WebEx Recording Editor exported WRF files in WMV format as well as other videos and audios with good video and audio quality. In addition, you can also get the info of the videos like video and audio resolution/bitrate/codec, video and audio language, video size and more. In this way, you can know the details of your videos and audios. Wonderful Video Converter Ever: Video Converter is able to convert WMV exported by WebEx Recording Editor from WRF to MP4, AVI, FLV, AVCHD, MTS, TOD, MPG, MPEG-1, MPEG-2, MPEG-4, MJPEG, MJPG, Windows WTV, ASF, ASX, SWF, MXF, MVI, MOD, Apple ProRes, R3D, Fraps video, M2TS, M2T, TS, OGM, DV-AVI, DivX, Xvid, MKV, FLV, F4V, WebM, QT, DAT, BIK, AMV, VP8, H.263, H.264, OGV, 3GP, 3G2, 3GPP, 3GPP2, RM, RMVB, M4V, TRP etc. with super-fast speed. WRF Video Converter can also convert FLI files, convert FLC videos, convert any video to Google Nexus 7, convert BU files etc. Ideal Audio Converter: WRF to MP3 Converter features to convert WMV exported by WebEx Recording Editor from WRF files to MP3, WMA, M4A, AAC, AC3, WAV, OGG, AIFF, ALAC, FLAC, CAF, etc. with marvelous audio sound quality. Dreamful Video Downloader: WRF to MP4 Converter is capable of downloading any videos from YouTube so that there will be no more streaming when playing YouTube videos. “Trim” button can cut WMV format exported by WebEx Recording Editor from WRF. “Crop” tab enables to adjust the video aspect ratio to 16:9 or 4:3 and remove black bars of videos. “Merge” button on WRF Converter can merge files then the merged file will be automatically listed below the original files with the name like “Merge 1”. “Effect” window in WRF Player can add video effects like “Carving”, “Shadow” or “Old Film” to the output video. Press “Image” button in “Effect” to adjust video image brightness, saturation and contrast. Go to “Watermark” in “Effect” to add watermarks in picture or text to the output files. Find “Subtitle” there to add or remove subtitle to the will be videos. “Setting…” button can help adjust the video resolution/bitrate/codec, increase or decrease video and audio volume, change audio channel and more. Download WRF Converter (For Windows, For Mac) and run it on your computer. Click “Add File” button to add WMV ffiles to WRF Player. In order to convert WMV exported by WebEx Recording Editor from WRF to MP4, you can select MP4 MPEG-4 Video (*.mp4) from “Profile” as the output format. To convert WMV exported by WebEx Recording Editor from WRF to WMV, click “Profile” drop-down button to set the output format as WMV Windows Media Video(*.wmv) . Convert WMV exported by WebEx Recording Editor from WRF to AVI, click “Profile” drop-down button to set the output format as AVI Audio-Video Interleaved (*.avi) . To convert WMV exported by WebEx Recording Editor from WRF to MP3, choose MP3 as the output format. Simple click “Convert” button to start converting. It is so easy to convert WebEx Recording Editor exported WRF in WMV format to MP4, WMV, AVI, FLV, MP3 and more with WRF Converter. How about start your WRF file converting journey now? This entry was posted in How-To and tagged convert wrf file to mp4, convert wrf to mp3, convert wrf to mp4, convert wrf to wmv, play wrf file, wrf converter, wrf file converter, wrf player, wrf to mp4 converter, wrf youtube. Bookmark the permalink.